At Alisa's little pieces we provide quality unique hand drawn DIGI STAMP illustrations as well as hand made paper piecings, hand torn creations, pre-made scrapbook pages, paper piecing patterns and paper piecing pattern clip art COMBOS. 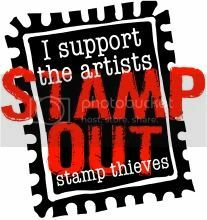 I also offer my rubber stamp line exclusively with THE PIXIE COTTAGE STAMPS. 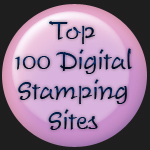 See STAMPS BY ALISA RAMIREZ link on my homepage below the INFORMATION section. These patterns and embellishments can be used to make for scrapbooking, cardmaking, creating embellishments and or other paper craft projects you have in mind. With these patterns we provide VECTOR cut files to be used in your cutting machines. We are not affiliated with any product such as Cricut, Sure Cuts A Lot and or other cutting machine companies. Sure Cuts A lot is the software you will need to use with your Cricut cutting machine. If it is something you don't have you can purchase it at craftedge.com or anywhere they sell Sure Cuts A Lot software. These VECTOR files have file extensions (.svg, .eps, etc.) that your computer program recognizes to open the file. Alisa Ramirez is the sole designer and creative artist of Alisa's little pieces at alisaramirez.com. The idea and concept to combine artwork into an All-IN-ONE paper piecing pattern and CLIP ART COMBO was created by Alisa Ramirez in 2008. All paper piecing pattern designs, rubber stamp designs and fairy/mermaid art are Alisa's original ideas brought to life on paper.